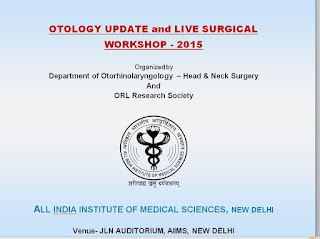 Carrying forward the tradition of AIIMS, we are happy to announce the OTOLOGY UPDATE and LIVE SURGICAL WORKSHOP - 2015, at AIIMS. 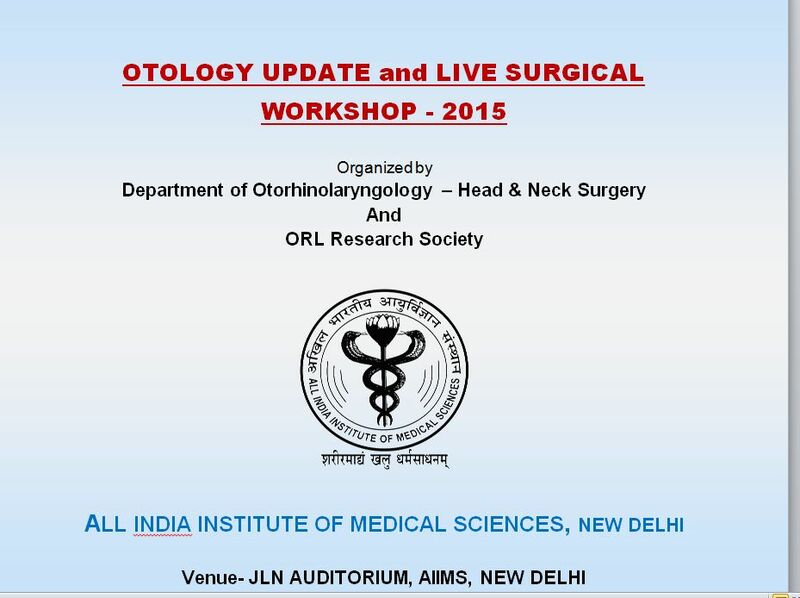 The department of ENT and HEAD NECK SURGERY continues its trend of sharing its vast experience with ENT fraternity and post- graduate trainees. We cordially invite you to be part of this academic extravaganza.